108th day of the year. There were then 257 days left in 2019. 30th day of Spring. There were 65 days left till Summer. April 18, 2019 was the 44th and last day of Lent (Christian Observance). 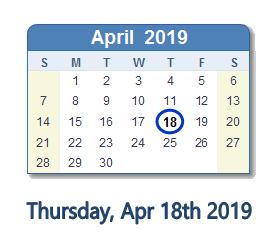 What happened on April 18th 2019?